FlightTrack has long been one of the most loved and best-selling paid flight apps, despite being fairly expensive by mobile app standards at $4.99 and $9.99 for FlightTrack Pro. 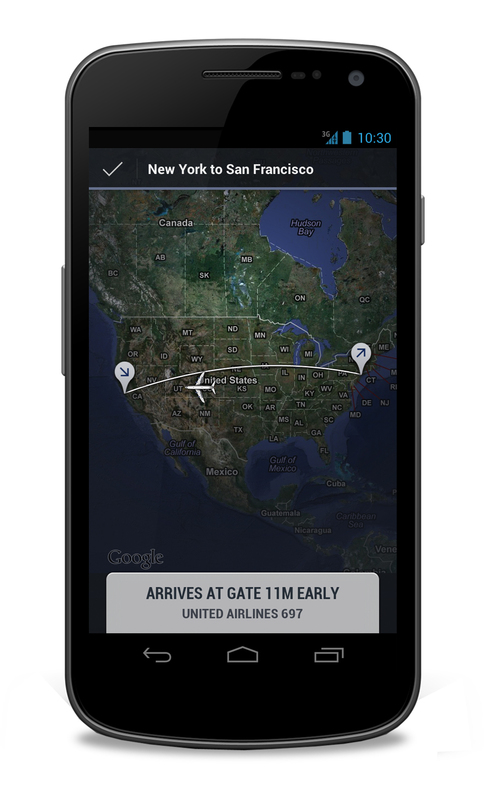 On Thursday Mobiata, the company behind the app, plans to announce its first free version of FlightTrack, called FlightTrack Free, for both iOS(s AAPL) and Android(s GOOG) mobile devices. Why go free after finding so much success with the paid model? Now that Mobiata is owned by Expedia(s EXPE), the company says it’s learned some lessons on the benefits of free apps. FlightTrack Free is not replacing FlightTrack or FlightTrack Pro. It’s a scaled-down, lighter version of the other apps, and has a redesigned interface. Users of the free app will find it’s much more basic than the company’s previous, premium versions: they can only track one flight at a time (as opposed to multiple), see their baggage claim and gate info, and have multiple language options: English, Dutch, French, German, Italian, Japanese, Korean, Brazilian, Portuguese, Simplified Chinese, Russian and Spanish. But they don’t get weather radar or FAA flight delay info, they can’t sync the information with their own calendar or TripIt, and the app lacks built-in support for SeatGuru and push notifications. Basically, it won’t have any of the additional, rich features that make FlightTrack the great app that it is. So why will a stripped-down version of FlightTrack appeal to users? To find out, I chatted with Ben Kazez, founder of Mobiata, last night. Yes, that’s a fairly obvious observation. But I suspect that Mobiata and its parent company also don’t want to lose customers whose needs for flight tracking are far more basic to competitors like Kayak, for example, which offers flight tracking as just another travel-related feature of its free mobile app. Another possibility: Android users are known to avoid paying for apps, so this could very well be an effort to appeal to users of the world’s most popular mobile platform. But going free doesn’t mean the company is abandoning the idea of making money from even its most basic users: they do like the idea of paid in-app feature upgrades, Kazez said. That’s wise since the model works: about half of all app revenue, at least in the iOS App Store, is derived from these freemium apps. But for FlightTrack Free tomorrow is not that day. “Initially there will be a division between the free app, the free experience and the paid pro apps,” he said. But they’ll eventually explore in-app upgrades options, he said, probably in a few weeks. I want to looking forward for a job.